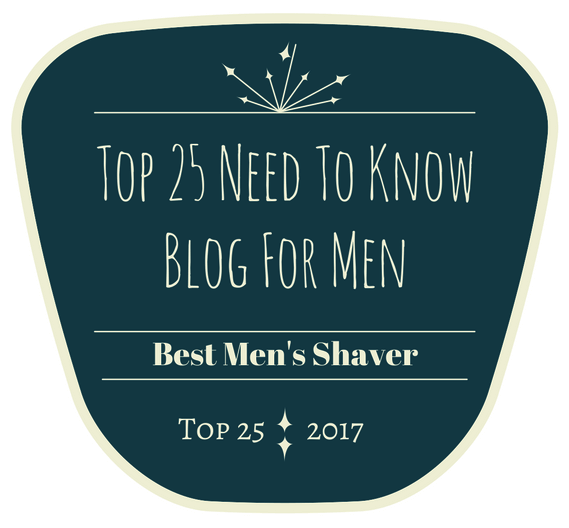 Skinny jeans for men have been popular now for as long as I can remember, leading the way at finally banishing those oversized denim styles which were prevalent in the 90’s and beyond. This trend is showing little signs of faltering, new and old brands alike are always bolstering their range with even more skinny styles – spray on, extreme skinny jeans, stick on jeans… the list is endless. 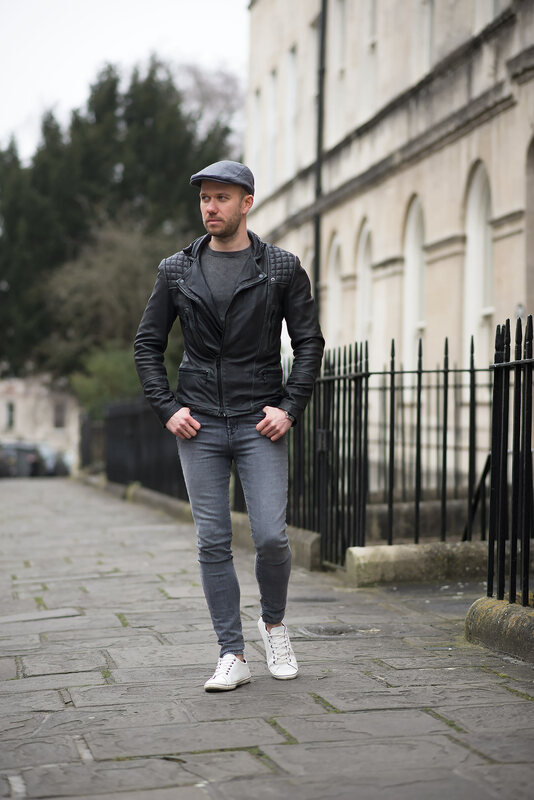 In honour of the continued love for these slim fitting jeans, I have compiled my list of 5 ways to style super skinny jeans for men. These are all wearable, everyday outfit combinations, perfect for your average guy. Bomber jackets are somewhat of a style trademark for me, multiple designs are proudly hanging in my wardrobe. I find the combination of bomber jackets and skinny jeans to be one of the most perfect clothing matches. The mix of sleek denim paired with the padded effect of the jacket gives a striking look! It’s quite flattering to the male body shape in my opinion. My personal favourites are the Topshop Bomber Jackets (which I’ve given high praise in the past due to their excellent fit in comparison to the men’s styles) and the Alpha Industries brand with their iconic ‘pull’ tag attached to the sleeve. I regularly see men sporting their bomber jackets and super skinny jeans as it’s become extremely popular. 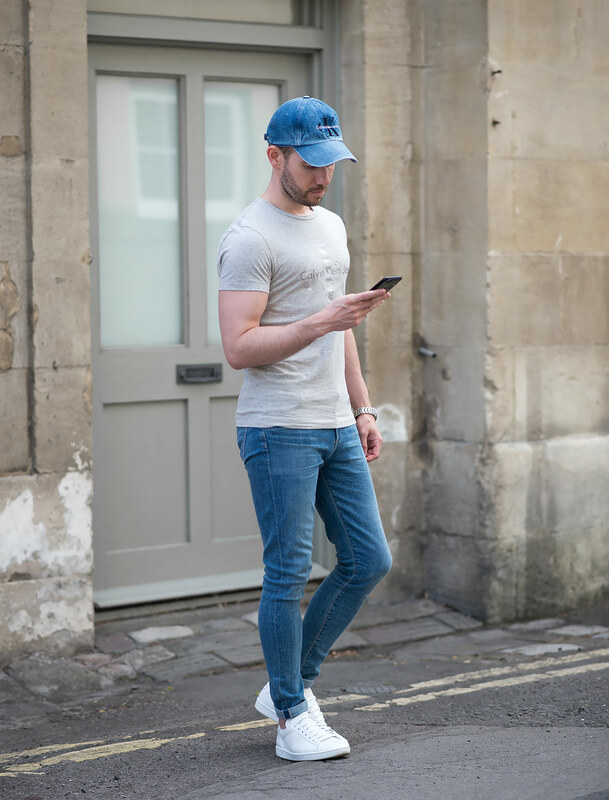 It goes without saying that the humble T-Shirt can be paired with almost anything and skinny jeans are certainly no exception! During those warmer days you are safe to choose a classic plain slim fitted T-Shirt to create a timeless style. Alternatively, opt for a more relaxed branded design – giving you an excellent everyday look! It might be basic, but as long as you get the fits right and the designs on trend, you can’t go wrong and there’s multiple looks that you can create just by opting for different colours. 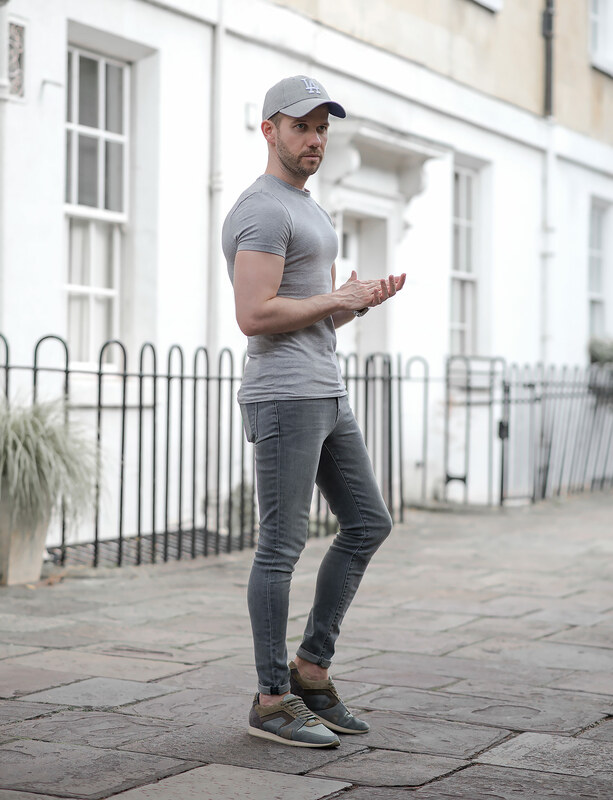 A lot of guys like the muscle fit tees which are tight all over to help keep the slim appearance, while others like long-line, looser fitting tops to balance out the skinniness of the jeans. It’s up to you! 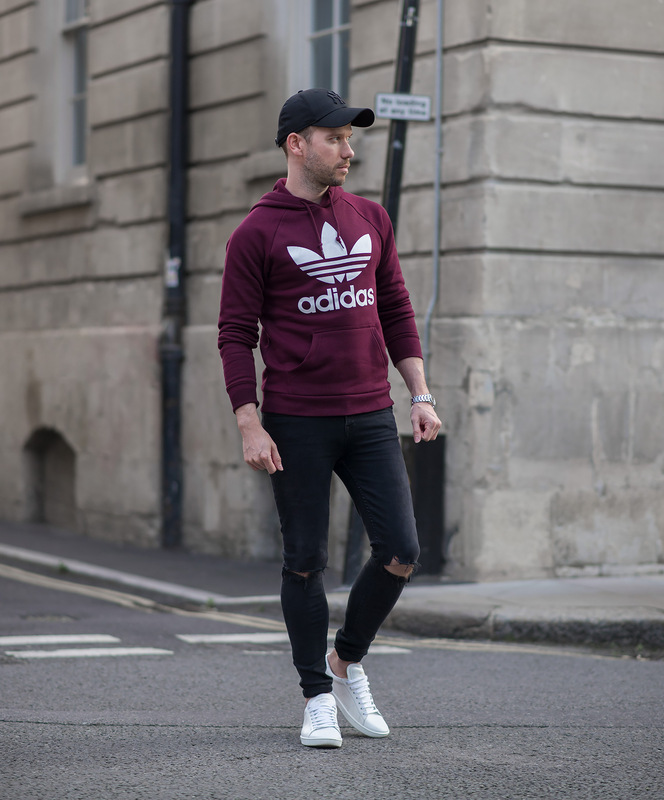 Sweatshirts, like bomber jackets, have adapted seamlessly with skinny jeans, kissing goodbye to oversized sports jumpers and tracksuit trousers! 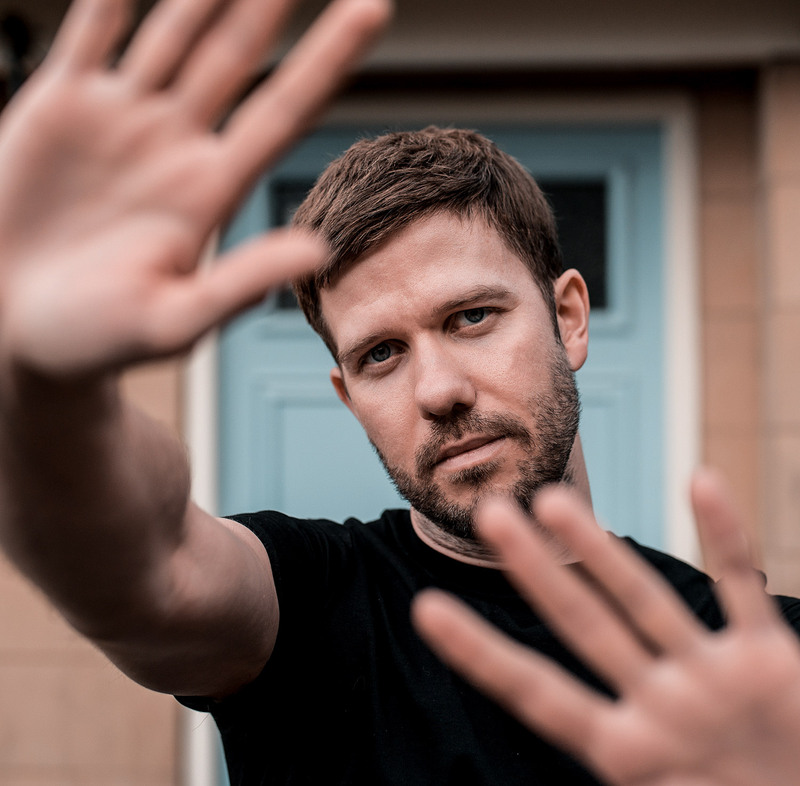 The new age of sweatshirts are increasingly more fashion forward, sleek, simple, yet incredibly fitted styles or the more loud varieties proudly displaying a quirky print on its chest. Both choices work wonderfully when combined with a pair of skinny jeans! You can go as bold as you like or as simple as you like, just keep those jeans skinny and the sweatshirt fitted. The leather jacket has been an iconic wardrobe essential for decades, easily adaptable to the latest trends and fashion ideas, so naturally they pair flawlessly with skinny jeans. My personal favourite style for this combination is the classic leather biker jacket. Decide on either the typical black design or choose the more unique coloured style if you want to opt for something different. Both offer an effortlessly cool fashionable look! I find that super skinny jeans with biker leather jackets make for a match made in heaven! Especially if you layer the leather jacket over knitwear and throw on some low top sneakers or chelsea boots. Finally we are left with a more unlikely pairing, skinny jeans with a suit! This is something I have personally dabbled with on a couple of occasions, both of which I was happy with how they turned out! I found it a particularly good team when you need that extra sleek effect of those super skinny jeans! Sometimes suit trousers just aren’t slim enough and are too dressy for the occasion, so getting a tailored suit jacket and tie to wear with some sleek super skinny jeans is ideal. It brings the look down a notch and gives you a variety of occasions that it’s suitable for. It’s a win, win! 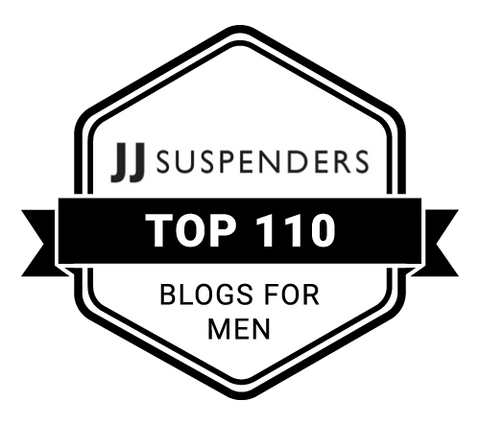 – What do you think of my 5 different style ideas for super skinny jeans? Which ones would you wear?